When you are planning a menu for that very special group of friends, the big question of “what do I serve for dessert” is always a challenge. 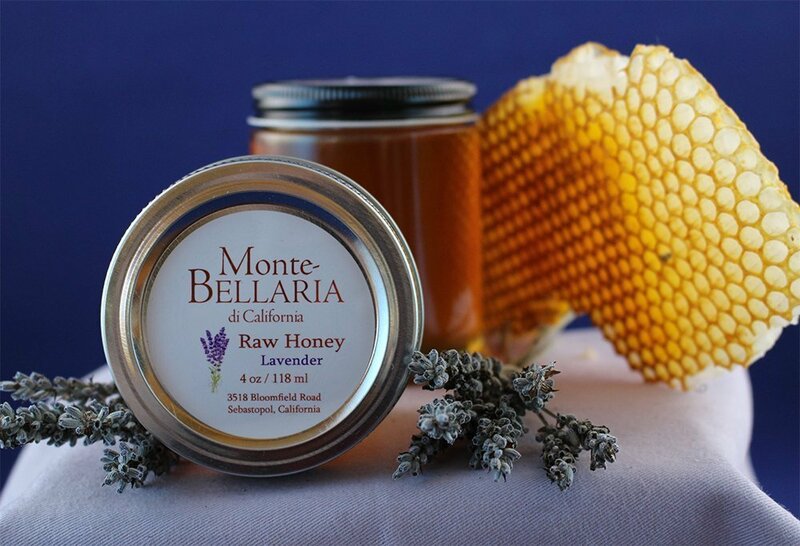 Here is a recipe for a light, clean and delicious lavender honey ice cream that will not only be unique but also the perfect compliment for almost any type of baked dessert. The flavor of lavender goes with almost any type of fruit or berry pie: apple, plum, cherry, peach, strawberry or blueberry. Pre-freeze the inner unit of an ice cream maker (according to manufacturer’s instructions.) Usually about 12 hours. In a small saucepan, heat the half-and-half cream to about 180°F (do not boil!) 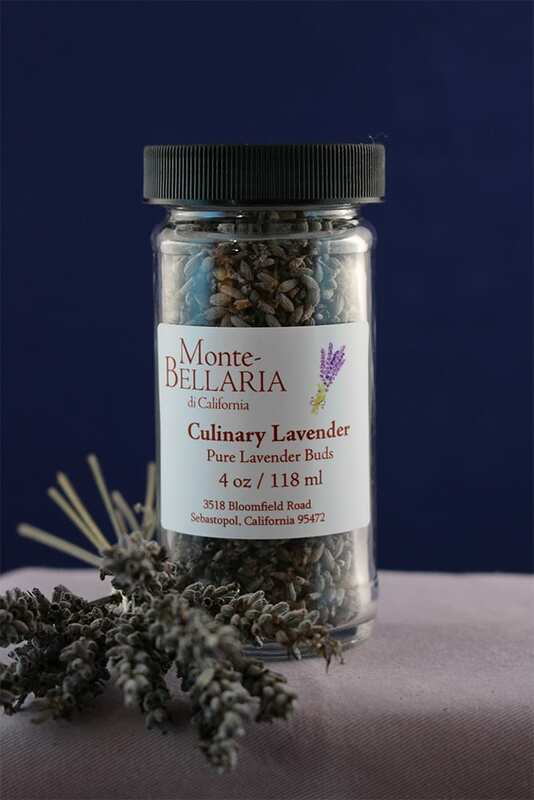 Remove from direct heat and stir in the Monte-Bellaria Culinary Lavender Buds. Let steep for 20 to 30 minutes until cool to the touch. 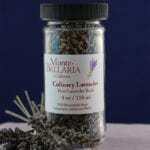 Strain and discard the lavender buds. Wipe saucepan with a paper towel to remove any remaining buds. Prepare an ice bath in a large metal bowl that will accommodate the size of the sauce pan. Return the lavender cream to the saucepan and heat to simmer only. 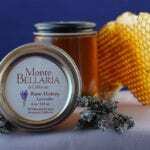 Add the sugar and Monte-Bellaria Lavender Honey and stir until the sugar is completely dissolved. Remove from heat and cool until just warm to the touch. Take two tablespoons of the warm lavender cream and stir into the beaten egg yolks. 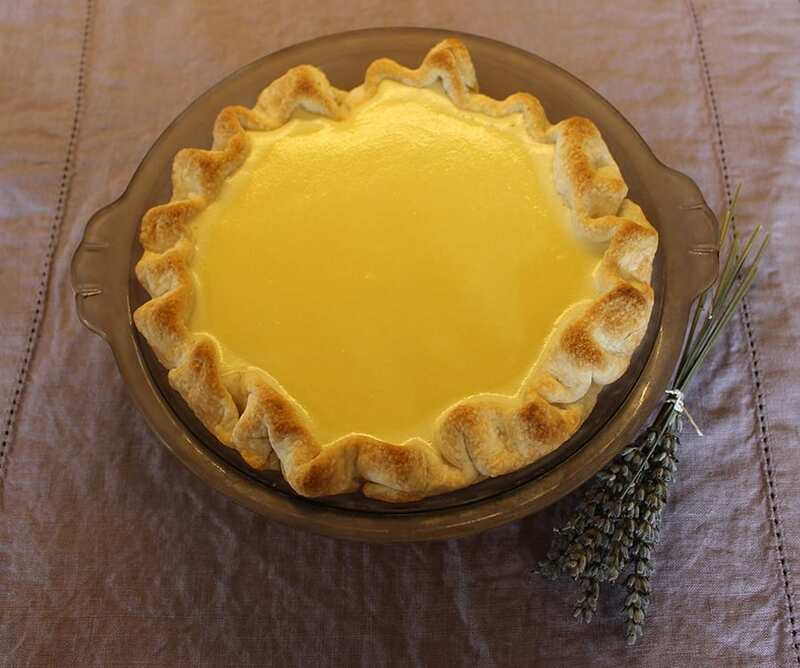 Whisk the egg yolks into the warm lavender cream and continue to whisk to prevent the eggs from setting. Return the mixture to low heat and continue to whisk until a temperature of 170°F is reached. Remove from heat and rapidly cool in the ice bath. Continue to whisk continuously for about three minutes. Stir the heavy whipping cream into the warm mixture and mix until thoroughly integrated. Cover the surface of the mixture with wax paper (to prevent a skin from forming) and let sit in the refrigerator for at least two hours and up to overnight. To make a perfectly fitting wax paper top, trace the lid of the sauce pan and cut just inside the tracing line. 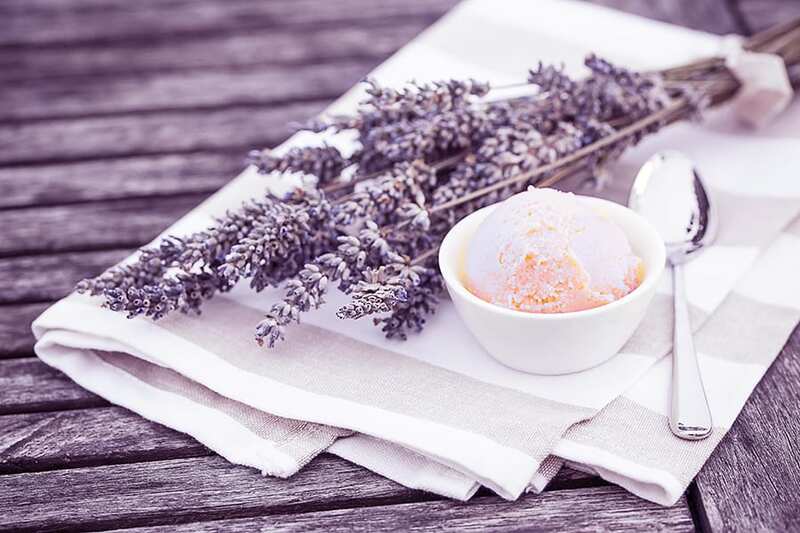 Remove the inner unit of the ice cream maker from the freezer and use a spatula to transfer the cold lavender cream mixture into the drum. Follow the instructions for the ice cream maker and turn the mixture until frozen. Transfer to a freezer-safe container and freeze from two to six hours. When the ice cream maker reaches a soft-serve consistency, pour into the pie crust and freeze for four to six hours. For a unique sweet and savory dessert; drizzle a teaspoon of Monte-Bellaria Extra Virgin Green Olive Oil over the ice cream and sprinkle lightly with sea salt just before serving.